We advise, plan, sell, supply, assemble, repair, rent and maintain power generators for all imaginable requirements. For our emergency power units we only use brands from renowned European manufacturers in the most diverse performance classes from 2 kVA to 3,300 kVA. 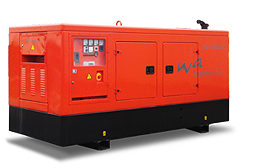 We offer you a large assortment of used gensets and emergency power units for various requirements. Fulfilling the needs and desires of our customers is what we do: We will build a power generator for you that is ideal for meeting your specific requirements. 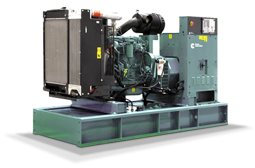 Prior to delivery we will test all of our used gensets with regard to their functionality. Short-term or long-term: Rent a generator set for permanent supply or an emergency power unit for temporary supply. For almost every requirement, we can provide you with a ready-to-use power set from our rental park. Fast, cheap and uncomplicated. Our 24 hours emergency service is available to our contract customers with a maintenance contract at any time. Our qualified technicians will immediately repair your genset and thereby ensure a high level of operational reliability 365 days a year. Our comprehensive maintenance service provides you with optimum support for your power generators and emergency power units right from the start, thus ensuring prevention, early detection and elimination of possible damage. We guarantee you a comprehensive support to ensure optimum power generation and high profitability. 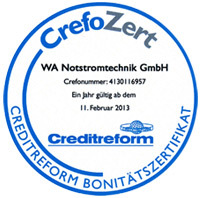 Our WA maintenance system is based on years of experience.